You may have noticed the sudden craze in coconut throughout the consumer market lately. From coconut water to coconut candy, manufacturers are using coconut flavor in everything to jump on board the bandwagon. Interestingly, other countries have been using the power of coconuts for centuries. Americans ate coconut products until the 1950’s and 60’s when researchers began informing the public that the fats from coconut oil was unhealthy. The unfortunate thing is that the studies used hydrogenated coconut oil. It is now understood that it is the hydrogenation process is what makes the fat dangerous to our health and waistline. Pure, extra-virgin coconut oil is a power food. Many companies that produce baby formula include virgin coconut oil, as it provides essential fatty acids. In fact, 50% of the fat in coconut oil is made up of lauric acid which is actually found in mother’s breast milk. Lauric acid can play an important role in a healthy metabolism and is known for its anti-viral, anti-fungal, and anti-microbial properties. Some people believe that this cholesterol-free fat will become as well known as omega-3 someday. It is important that you choose organic extra-virgin coconut products. Like we mentioned at the start of this post, many companies are using coconut oils and flavors in their products. 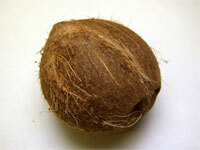 If the coconut has been bleached, hydrogenated, or refined, it will have lost it powerful properties. Nutiva and Tropical Traditions are both good brands to look to when buying coconut products. So, now that you know coconut oil is a super food, you may be wondering how to incorporate it into your diet. After all, experts recommend up 3 tablespoons per day. Mix the base with the ingerdiants for the desired flavor until smooth. Next, pour them into a mini muffin tin lined with paper liners. Refrigerate or freeze them until set, serve cold. In addition to eating coconut oil, it is also a beneficial beauty aide. For a great list of ideas for use, check out Wellness Mama’s list of 101 uses. So, are you ready to experience to super powers of coconut oil? If you are still feeling hesitant feel free to send us your questions and concerns. We are always here to help!